The International Code Council is set to vote this fall on whether it will back a code change to allow construction of wood buildings up to 18 stories—much to the chagrin and trepedation of the Portland Cement Association [see stoptallwood.com). Elsewhere: Brad Pitt is being sued for homes he helped build post-Hurricane Katrina, Australia celebrates the towering potential of timber; and wood toy blocks come back into vogue. In Business news: a NAFTA deal is expected today—at least in principle—as Canada pushes to save the Chapter 19 dispute panels; Statistics Canada reports lumber production is down in June; and UK utility The Drax Group plots its coal-free future with US wood pellets. Finally, the worst of BC’s record wildfire season is over, and the property and timber values were less than last year; and California’s Governor Brown supports legislation allowing for more logging in the state’s fire-prone forests. Don’t stop the presses: US Trade Commission overturns duties on newsprint, ruling that Canadian imports do not injure the US industry. The vote was welcome news to Canadian exporters, the US newspaper industry, Catalyst and Kruger, while Norpac is disappointed and assessing their options. In other Business news, Trump and Trudeau say a deal is possible on NAFTA by Friday as Dairy and Chapter 19 interests vie to be Canada’s hill to die on; Finning responds to Caterpillar’s plan to sell its forestry business; and Resolute is selling its West Virginia mill to Nine Dragons Paper. Finally, emotions run high in BC’s fire ravaged areas; a BC psychologist says wildfire smoke can trigger past wildfire traumas; and California’s cap and trade market is touted as a means to save the Amazon. The U.S. and Canada will likely announce a trade agreement in principle on Friday, even if the details of it will have to be hammered out later, two American sources with knowledge of the talks said Thursday. The countries only began negotiating in earnest on Wednesday after the States and Mexico forged a bilateral deal, but have been working around the clock to try to meet a Friday deadline for including Canada. …An announcement is expected “with high-level areas of agreement” that would allow U.S. Trade Representative Robert Lighthizer to file notice to Congress. Then the two sides would continue to negotiate. …The Americans are pushing to get a deal by Friday to allow Mexico’s outgoing president to sign it before he leaves office Dec. 1, while providing Congress the 90-day notice required before trade deals are signed. The fate of a Nafta deal between the U.S. and Canada could hinge on the same issue that almost killed the countries’ first trade pact a generation ago– dispute panels that the Trump administration wants to eliminate. …Canada cited its ongoing disagreement with the U.S. over allegations it dumps lumber into America as a reason to keep the panels, they said. One U.S. official said it’s not certain whether America will budge on its demand to end the panels. …The U.S. says the panel overrides the American court system and its sovereignty. Ottawa sees it as a crucial independent protection from having disputes mired in U.S. courts. …Canada is not seeking to resolve the softwood dispute or U.S. tariffs on Canadian lumber shipments as part of Nafta talks this week, the Canadian officials said. Forest Products Association of Canada CEO Derek Nighbor issued the following statement in response to the release of new mandate letters that instruct the priorities of the federal Cabinet: “On behalf of Canada’s forest products sector and its workforce, FPAC engages every day with senior levels of government to call attention to issues of significant interest and concern in order to collectively advance opportunities for Canadian forestry and our workers across the country. The new mandate letters released yesterday suggest the federal government is prepared to address a number of priority areas important to Canadians working in Canada’s forest sector – with the majority of these 230,000 family-supporting jobs being in communities across rural and northern Canada. 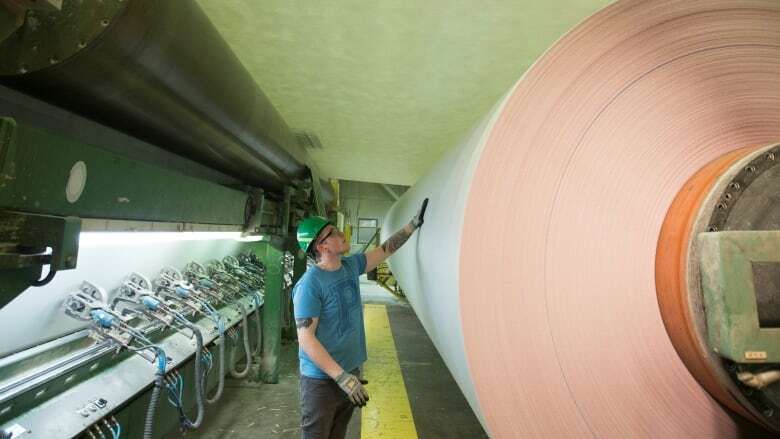 The U.S. International Trade Committee voted Wednesday to overturn President Donald J. Trump’s tariffs on Canadian uncoated groundwood paper—newsprint—in a major win for newspapers across the country. The committee said the import of Canadian newsprint does not harm U.S. paper producers. In fact, the tariffs actively harmed U.S. businesses, as their introduction in January caused prices to spike by as much as 30% and led newspapers to reduce page count and frequency and lay off workers. …But the newspaper industry was relieved by the decision. “The ITC’s decision will help to preserve the vitality of local newspapers and prevent additional job losses in the printing and publishing sectors,” David Chavern, the president of the News Media Alliance, said in a statement. …The damage done to the newspaper industry by the tariffs, sadly, may be irreversible. The U.S. International Trade Commission has overturned duties imposed on Canadian newsprint by the U.S. Commerce Department earlier this year. The five commissioners voted unanimously Wednesday that imports from Canada of uncoated groundwood paper, used for newspapers, commercial printing and book publishing, do not injure the U.S. industry. The U.S. Commerce Department had imposed anti-dumping and countervailing duties of various levels on Canadian producers including Resolute, Catalyst, Kruger and White Birch Paper. The Commission’s vote overrules the findings of the Commerce Department. The vote was welcome news to Montreal-based Resolute, the largest newsprint producer in the world. …David Chavern, CEO of U.S. newspaper industry group News Media Alliance, applauded the ruling. …Craig Anneberg, CEO of North Pacific, said the company disagrees with the ruling and it will assess its options when the detailed written determination is released in a few weeks. PORTLAND — Employees of Exterior Wood in Washougal, are expected to keep their jobs, following the company’s sale to a Canadian wholesale distributor of building materials. Taiga Building Products Ltd., of Burnaby, British Columbia, has purchased Exterior Wood for $42 million. The purchase included the parties entering into an escrow agreement to pay for “certain environmental remediation measures,” using a portion of the purchase price, up to $3.84 million. The city of Washougal expects to issue a determination of nonsignificance for a proposal that will involve the excavation of roughly 1,320 cubic yards of contaminated soils from a stormwater swale at 3000 Addy Street and an adjacent ditch along Highway 14. I was very pleased to have the opportunity to attend the grand opening of the Radium Hot Springs Centre along with Mel Jones, Plant Manager (Radium), and Conrad Robson, Product Supply Coordinator Shipping (Radium), on August 25th. What made the grand opening so special was that we donated lumber produced at the Radium mill to the project. …It was used for the building’s exterior siding, as well as structurally in the ceiling panels and accent pieces. 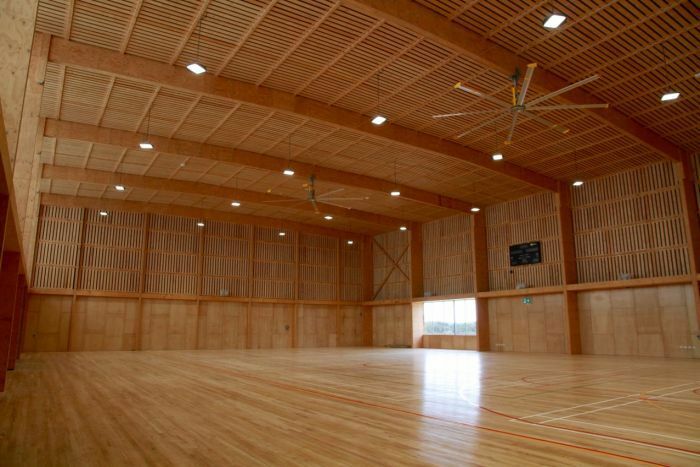 It’s another project that demonstrates the beauty and benefits wood brings to buildings. TORONTO – Norbord Inc. is launching its second video to kick off “Thank a Framer” month this September. This video follows the process of manufacturing oriented strand board (OSB) from the forest to the construction site, paying homage to workers in the supply chain along the way. It aims to highlight the vital role framers play and supports Norbord’s efforts to ease the construction labor shortage. With over 200,000 construction jobs vacant, the home building industry needs to train more Americans to fill these positions. Last year, Norbord launched the #ThankAFramer Campaign to raise awareness and donated US$1.1 million to the Home Builders Institute (HBI) to train framers to alleviate the labor shortage. “Last year’s Thank A Framer video has been an enormous success with over 4 million views,” said Peter Wijnbergen, Norbord’s President and CEO. In 2017, wildfires swept across Europe and North America, causing record land loss and property destruction. The 2018 wildfire season is shaping up to be just as bad. …For people building or rebuilding in fire-prone areas, it could be a difficult normal to adjust to. In the wake of these fires, the question is: How do we rebuild stronger after wildfires? Even more importantly, should we? …To build fire-resistant buildings, the builder first needs to understand how wildfires behave. …The first line of defence is keeping the fire from spreading to the house in the first place. 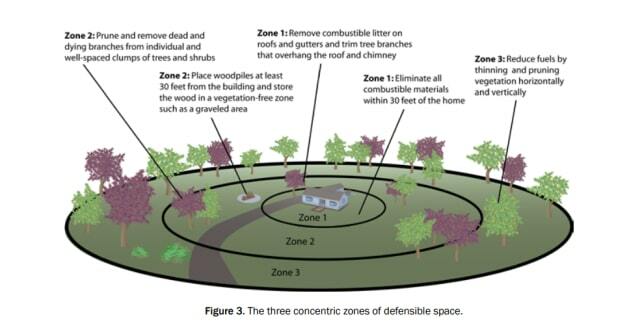 Any house in fire country needs a defensible space—an area around a building that has been cleared of vegetation and other debris that could catch fire. The International Code Council is set to vote this fall on whether it will back a code change to allow construction of wood buildings up to 18 stories. A public comment hearing after the organization’s annual conference in October will be followed by an online voting period of two weeks. The ICC’s Ad Hoc Committee on Tall Wood Buildings approved several wood-related code proposals in April. However, the group has been met with opposition from some industry groups like the Portland Cement Association (PCA). In order to help address concerns, the committee set out to dispel common myths about the proposed code changes and clarify the codes themselves in a response document. …The PCA sponsored an 800-participant online survey in which 75% of respondents said they did not believe raising the allowable height of wood buildings was a good idea. Pepi Acebo …ran across a website that showed how to make toy building blocks, and he decided to give it a try. He was good at it. “I found I could make unit blocks” — wooden toy blocks cut to standardized measurements — “that were better than the ones I could buy,” says Acebo. From the outset, he chose to make blocks more precisely sized (designed to a tolerance of +/- 5/1000 of an inch) than anyone else was doing. …What’s more, his blocks were safer. …even companies highly regarded for interactive educational toys, manufacture blocks with that and other tropical and subtropical hardwoods that are treated with insecticides. Acebo makes his blocks from Forest Stewardship Council-certified hard rock maple, “wood that is as close to hypoallergenic as you can get,” he claims. …Using a band saw and a sander in his work, he now hires assistants as needed in his 500-square-foot workshop off Patton Avenue. NEW ORLEANS — An attorney plans to sue actor Brad Pitt’s foundation over the degradation of homes built in an area of New Orleans that was among the hardest hit by Hurricane Katrina. 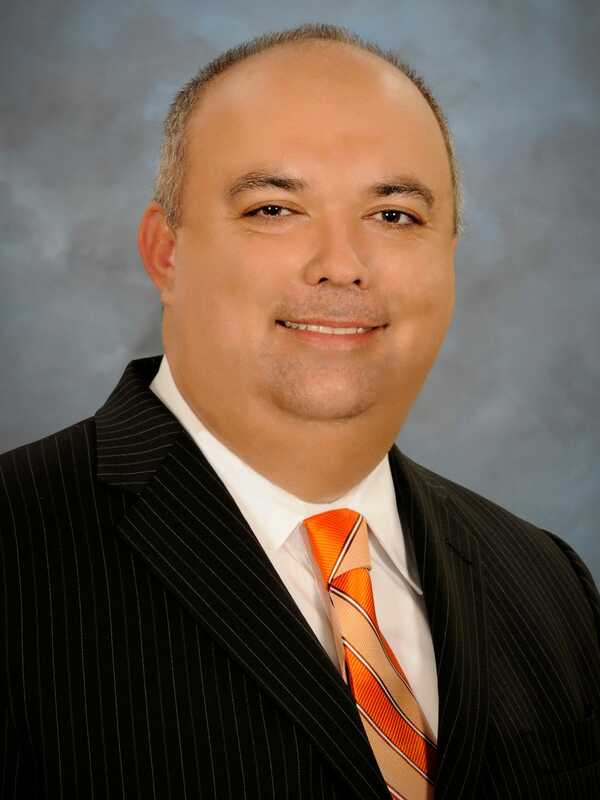 The forthcoming lawsuit against Pitt’s Make It Right foundation will be filed on behalf of some Lower Ninth Ward residents, who attorney Ron Austin told WWL-TV have reported sicknesses, headaches, and infrastructural issues. …But 10 years and more than $26 million later, construction has halted at around 40 houses short of Pitt’s goal, and some homes are falling apart. Residents have reported sagging porches, mildewing wood and leaky roofs. …The foundation in 2014 did spend an average of $12,000 each on 39 homes to replace the deteriorating TimberSIL lumber, which was billed as environmentally friendly, weatherproof and durable, NOLA.com/The Times-Picayune reported . Make It Right then sued TimberSIL for $500,000, but it’s unclear whether that dispute was settled. In the inner Brisbane suburb of Bowen Hills, the finishing touches are being put on a giant jigsaw puzzle — a nine-storey office block built almost entirely of wood. Tens of thousands of prefabricated panels and beams have been bolted and screwed into place. At first glance the building looks indistinguishable from its steel and concrete contemporaries. 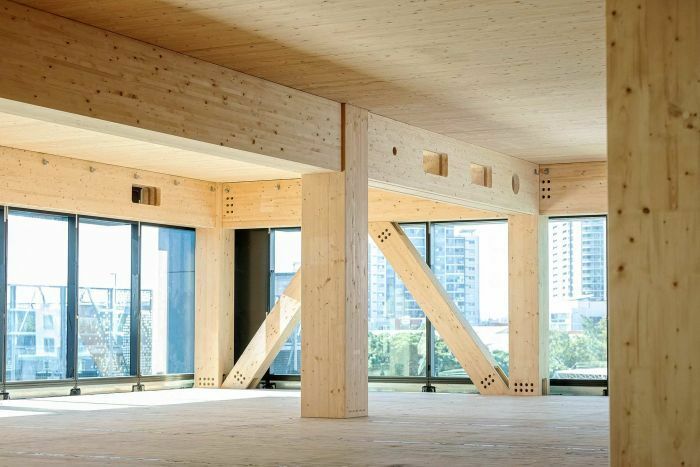 …This new approach to construction involves what’s called “mass engineered timber”: wooden beams and sheeting designed and manufactured for maximum strength by using a process of lamination or layering. As a result, only the first two stories of the King Street building need to be constructed with concrete. …How high timber-framed buildings can go is an open question. …”As you go higher the wind loading on a building becomes a much more dominant force,” Mr McGuire says. “So, as you get higher you might look at hybrid designs using some reinforced concrete… to take the lateral stability. A tiny wheatbelt town has received the keys to the biggest civic timber construction in Western Australia in nearly 80 years, as the state’s timber industry shows signs of revival. The Shire of Pingelly decided to build its new Recreation and Cultural Centre entirely out of timber — and the result is without a modern-day rival. Not since the Merredin aircraft hangars of World War II has any public organisation built with timber on such a large scale. …Mr Mulroney said cost estimates for the timber design of the new building came in around the same as brickwork. “We decided we would have something really good, and we went for timber … the timber will make it a longer life and make it better looking than bricks and mortar, which can age over years,” he said. It’s been a bad month for logging truck spills and rollovers in the Lillooet area. They’ve occurred on the Bridge Main, Highway 12 and most noticeably on Road 40 last week near its intersection with T&T Road. When we arrived at last week’s accident scene, our first question was “Was anyone hurt?” …We don’t know the cause of last Wednesday’s accident …We don’t want to bash the forest industry or the fellows who drive the logging trucks. The industry has bounced back to again become an important contributor to our local economy and the drivers have tough jobs …If last week’s rollover is another example of someone driving a loaded logging truck at excessive speed, we believe it’s time to sit down and talk about logging truck safety in the Lillooet area. Perhaps we need something along the lines of a local version of the provincial Trucking Advisory Group. 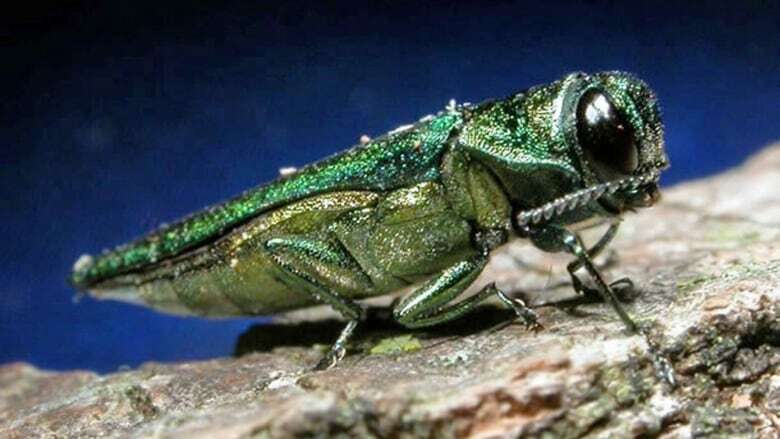 The City of Ottawa is teaming up with a local conservation authority to help residents bear the cost of replacing trees consumed by the emerald ash borer. The city is working with South Nation Conservation (SNC) to offer homeowners half the cost of removing and replacing damaged ash trees. Ottawa homeowners will be eligible for up to $500 per tree to a maximum of 10 trees. SNC’s Ronda Boutz said it might be too late to stop the insect invasion, but the pilot project could help ease the impact. “We may not be able to stop, but what we will be able to do is replace the tree canopy we have lost from the ash borer,” Boutz said. The provincial government’s Commercial Cutting Permit Allocation policy will come into effect January 1, 2019. 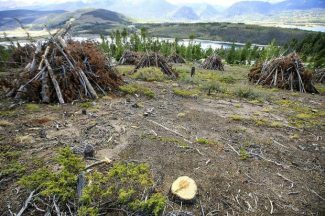 In a news release issued Thursday afternoon by Fisheries and Land Resources, it said the measures are aimed at increasing timber allocations and harvest levels by 20 per cent by 2020, as outlined in The Way Forward. It’s designed to increase the amount of commercial volume harvested and to provide more opportunities to promote forest industry growth, the release states. “These upcoming changes…will ensure better use of our valuable timber resource when the policy comes into effect in the new year,” minister Gerry Byrne was quoted saying in the news release. When it comes to providing supply chain assurances, producing conservation outcomes, and supporting education and community engagement – Forests are the Answer. The 2018 SFI Annual Conference will engage you in a discussion focused on why Forests are the Answer to so many of our conservation, community, and supply chain challenges and opportunities. Register today to receive our early bird registration rates. Starting September 1st, registration rates increase by $100. And don’t forget to check out our registration rates and discounts to learn how you can save 10, 15, or even 25%. Whether you’re bringing a colleague to the conference for the first time, multiple employees from your organization, or work for a non-profit organization, we have a discount for you. Or if you have any questions, please contact Amy Doty at amy.doty@sfiprogram.org or (202) 596-3458. California Gov. Jerry Brown is taking a page from Interior Secretary Ryan Zinke’s playbook by pushing legislation to clear the way for more logging in the state’s fire-prone forests. Mr. Brown has backed an 11th-hour push to create exemptions in California’s notoriously tough environmental regulations, allowing small landowners to cut down larger-diameter trees, build temporary access roads in the woods, and bypass red tape in securing state approval of thinning projects. The move… comes as part of Senate Bill 901, an expansive wildfire-prevention proposal slated for Assembly and Senate votes Friday evening. Rich Gordon, president of the California Forestry Association, said the bill would be “really beneficial to forest health in California.” …environmentalists are split. Some green groups dropped their opposition after the bill was amended… but not the Sierra Club, which argued that the measure is still too aggressive. A meeting intended to discuss proposed looser limits to controlled burns during the off-season became a lightning rod of catharsis for Southern Oregonians who’d far exceeded their smoke limit for the summer. A crowd of upwards of 70 locals turned out to the Smullin Health Education Center Wednesday evening to voice frustration on a variety of forest management policies that have led to two months of choking wildfire smoke in Southern Oregon, surprising officials with the Oregon departments of Forestry and Environmental Quality advocating for proposed changes to proscribed burn regulations in the off-season. …Questions and comments during the hearing largely touched on locals’ exasperation with the growing frequency and intensity of wildfires and the smoke they bring that have hit across the west and made for two months of smoke Southern Oregon. …Back in 2007, a study was done in nine communities — Breckenridge, Dillon, Frisco, Silverthorne, Granby, Kremmling, Steamboat Springs, Vail and Walden — to explore resident’s perceptions of the forest, attitudes toward forest management and changes in behavior influenced by the beetle outbreak. Eleven years later, researchers from the University of Colorado, University of Missouri and Utah State University are conducting a new study in those same communities to find out how perceptions have changed as the effects of the outbreak revealed themselves over time. The study’s findings may be used to understand better how humans perceive risk over time when it comes to the beetle outbreak and insect-related forest disturbances. The analysis may influence policy-making on forest management and messaging for wildfire mitigation. A multi-disciplinary research team is developing new models for growing trees on farms to help meet the needs of landholders, investors and the timber industry. Project leader Professor Rod Keenan said the need for wood is increasing to meet future timber demands of Australian housing. “The increasing use of wood in construction for design and environmental benefits will increase this demand as will the substantial push for renewable and sustainable products to replace plastics,” Prof Keenan said. “We are examining whether timber industry investment in trees on farms can provide their wood needs and also provide shade, shelter, carbon, water and biodiversity benefits. A survey mailed to selected owners and managers of land in south-west Victoria and Gippsland asks about current agricultural activities, views on planting trees for harvest in the future and the importance of different factors when considering integrating trees with other land uses. The B.C. government says although wildfires have broken last year’s record for the area of land burned, the human impacts have been much lower. 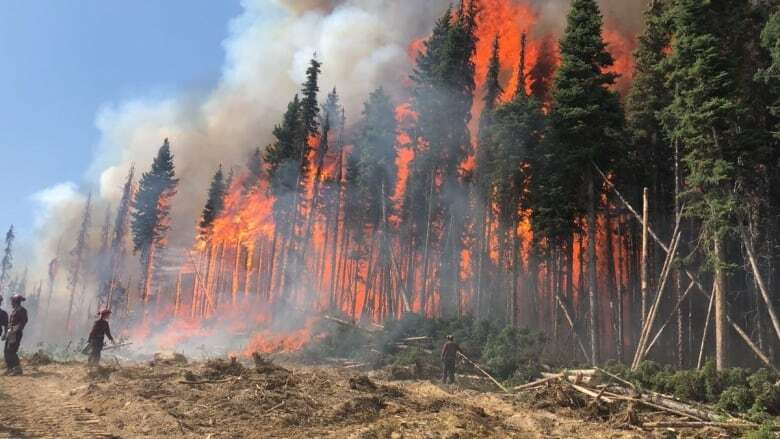 Fire information officer Kevin Skrepnek of the BC Wildfire Service said fires have scorched about 12,520 square kilometres this season, compared with 12,160 square kilometres last year. …The 2017 and 2003 fire seasons had higher impacts in terms of property, environmental and timber values, he said, although he did not have all of those figures readily available. Emergency Management B.C. said it has received 155 reports of structures lost, compared with the 310 reported by the same date last year. However, it noted that figure could change as people return home and report what they find. In terms of fire suppression costs, Skrepnek said the service has spent $316-million to date this season, compared with $442-million for the same date last year. With the wildfire risk in the province still high, the B.C. Wildfire Service is reminding the public to be careful this coming long weekend. “The 2018 fire season is far from over. 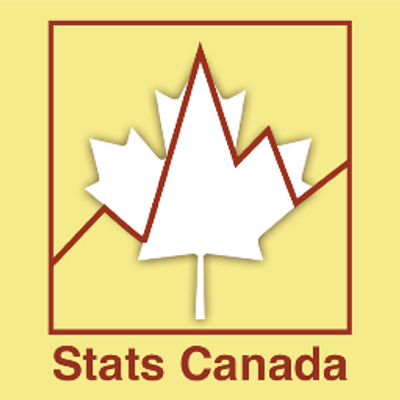 While temperatures have dropped, various levels of rainfall are occurring, and the smoke has cleared throughout most of the province, the risk of wildfires remains high,” the service said in a Thursday news release. Campfire bans remain in effect for most of the province and the public should exercise caution to prevent human-caused wildfires, they add. “Whatever your activities this Labour Day long weekend, remember there are wildfire crews working hard in the bush.” …Anyone found in violation of an open-burning prohibition may be issued a violation ticket for $1,150, may be required to pay an administrative penalty of up to $10,000 or, if convicted in court, may be fined up to $100,000 and faces a one-year jail sentence. The B.C. government has extended the provincial state of emergency because of wildfires that have now burned more area than any other season on record. As of Tuesday, more than 12,984 square kilometres of the province had burned, pushing past the previous record set just one year earlier. As 534 fires continued to burn on Wednesday morning, the province announced that it has extended the state of emergency through to the end of the day on Sept. 12. About 3,200 people have been removed because of the wildfires, and another 21,800 are on alert. In the catastrophic wildfire season of 2017, which saw 65,000 people forced from their homes, 12,161 square kilometres of British Columbia went up in flames. Scientists suggest there are several reasons for the severity of the last two wildfire seasons in B.C., including a lack of controlled burning and aggressive firefighting efforts that have allowed potential fuels to build up across the province. 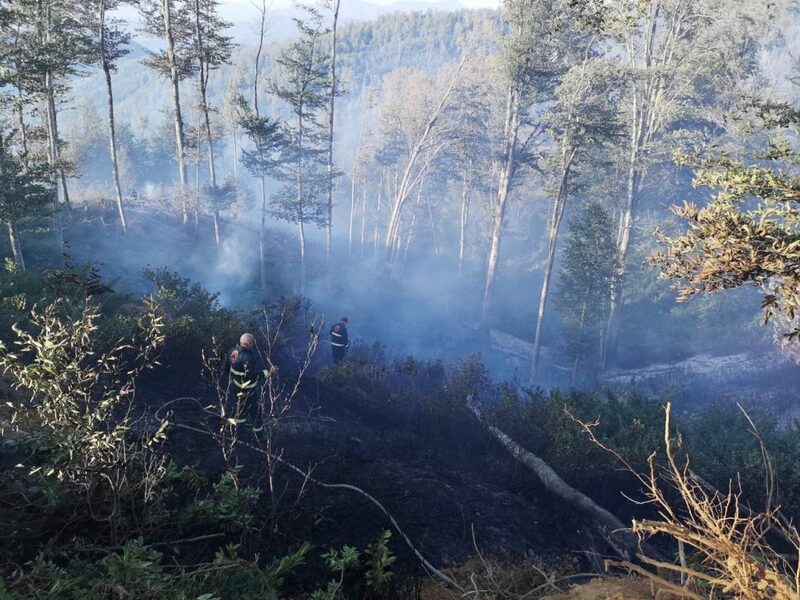 Around 220 fire-fighters and 12 brigades have been working in a forest near Georgia’s town of Khashuri to put out a fire which started on August 29. The Emergency Management Service of Georgia reports that the fire broke out in the village of Tsedani, Khashuri municipality, and noted that 10 ha of forest has been burnt so far. “All services have been mobilized to timely put out the fire,” the agency stated. As reported, the fire destroyed deciduous trees. The locals are also helping the firefighters to extinguish the blaze. The cause of the fire is yet to be ascertained. Dwindling UK interest in coal-fired power generation, once the country’s mainstay, has long been known. 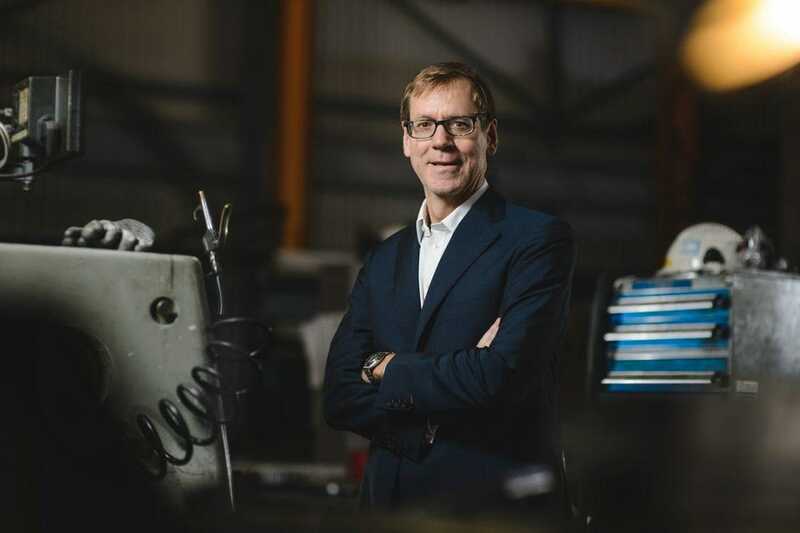 Reflective of that profound change in thinking is London-listed midcap utility outfit Drax Group, led by its Chief Executive Officer Will Gardiner. …For some that might seem strange. The company’s key asset – Drax Power Station in North Yorkshire, England – was premised on coal-fired power when it was opened in 1975. But for Gardiner that’ s history, as his outfit played a substantial part in enabling those 3 days of coal-free power in the UK. …”In 2017, we generated 65% of power from biomass, with the rest coming from coal. Our ultimate ambition is to get rid of all coal generating units by 2025, if not before.” …A key strategic plank has been Drax’s policy of incremental “insourcing” of wood pellets required for biomass generation via its operations in the United States. Forest fires have cast a smokescreen on mental health in the Okanagan. While most have been feeling the physical symptoms … for some, the smoke isn’t only affecting air quality. “When we look at smoke at a physical level, it’s the very same for mental health,” Dr. Heather McEachern of Kelowna Psychologists Group said Tuesday. “And there are groups of people highly affected in our communities.” It is unfortunate that a summer such as this brings back memories of 2003, when wildfires displaced tens of thousands of Okanagan residents from their homes and burned more than 230 buildings. “The smoke can be a trigger of past trauma,” McEachern said. …As McEachern sees it, employees in a male-dominated profession tend to seek less assistance from medical professionals than others. Embarrassment or shame seem to be a stigma that prevents employees from speaking up — a problem in the workplace that needs to change.